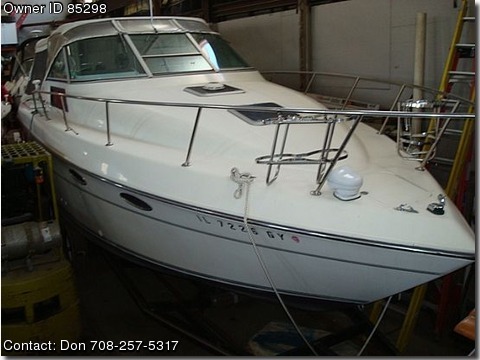 Call Boat Owner Don 708-257-5317. Hot water for shower, new AC/Heat unit. Twin 350's are very good runners and economical to run. This is a fresh water only boat. Also has new GPS / Chartplotter state of the art w/ google maps display over chart.